When I’m feeling down, or need a break from the craziness of life, I turn on the Brady Bunch and watch it with my family. We binge-watch the treasure trove of episodes on our DVR, and for a while, all is right with the world. In the late 1960s when the show first aired, Vietnam was raging, civil unrest was rife, but none of that penetrated the bubble of the Brady’s carefree world. The reassuring presence at the center of that bubble was Carol Brady. 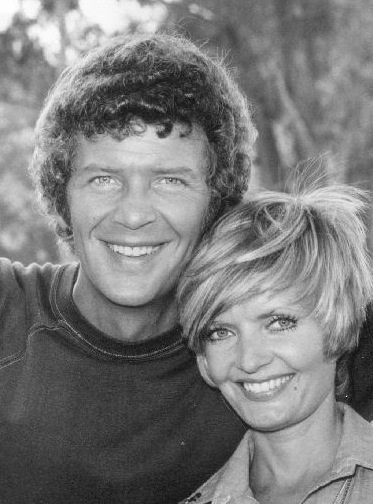 Who was Carol Brady? A sitcom mom who never broke character. Who was never without grace, decorum, and diplomacy. She was defiantly perky with a can-do spirit, and never without a few wise, if not clichéd, words of maternal advice. Talk about calm under pressure—she never lost it with her six kids, even though they tested her all the time. She had a gorgeous singing voice, and she could cook. Yes, she seemed too good to be true. And yes, she had what most mothers can only dream of: a live-in maid in the form of Alice. She had lots of time to sit with a newspaper or knitting on her lap, looking sleek and fab in polyester bellbottoms and chunky heels, never breaking a sweat as she oversaw her world. She made motherhood look so easy, but I don’t hate her for it. I love her for what I can relate to: her positive outlook, her demeanor full of sunshine. She was a fearless and relentless crusader for teaching her kids to do the right thing. She was good, loving, and calm. She represents that sweet and loving side of moms. Sometimes it’s nice just to focus on that. Now we’ve lost Florence Henderson, that ebullient and talented comedienne who portrayed Carol Brady with such dedication and heart. Carol Brady will live on. She will always inform moms, hopefully not on style, but on what really counts. She’s the kind of person I’d want as a good friend. Hell, she’s the kind of person I want to be. Goodbye, Florence Henderson. I’m sure you’re singing with the angels just about now. Yes! I grew up watching the Brady Bunch. My children and I love to watch re-runs. Thanks! I love this show as a child. I will watch reruns sometimes with my children.